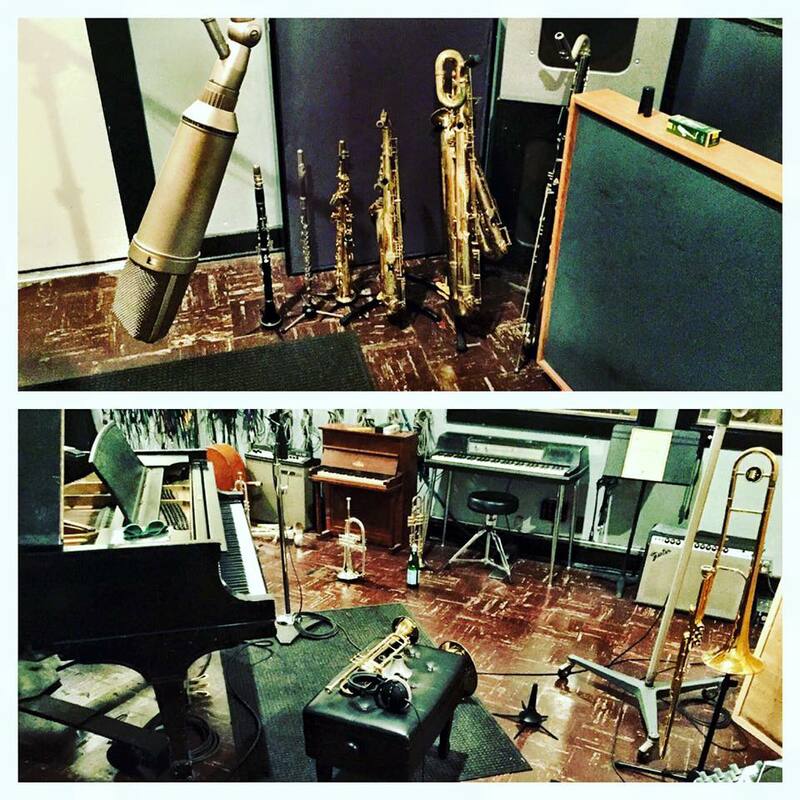 In addition to their own work as recording artists, DD Horns are also acclaimed session musicians, arrangers, producers, contractors and musical problem solvers. Whether you have an arrangement charted out or just want to freestyle ideas in the studio, DD Horns always works to make sure our clients are completely satisfied with the work they are receiving. They deftly handle all styles and genres of music, and do everything from solos to sections, big band, marching band, sound design and sonic manipulation. Credits include both huge mainstream artists and up and coming indie acts: Snoop Dogg, Gwen Stefani, Iggy Pop, Josh Homme, 21 Pilots, Vampire Weekend. Gary Clark Jr., Matt Nathanson, Paloma Faith, Regina Spektor, Rilo Kiley, The Beat, Anonymous Inc., Once and Future Band, Robin Thicke, Natasha Bedingfield, Psychic Temple, Nik Freitas, Mike Bloom, Carina Round, Foxes, Raheem DeVaughn, The Elected, Daye Jack, Eli Paperboy Reed, Breakestra and countless others. DD Horns have recorded on multiple Grammy winning and Billboard #1 albums, and their sound has been heard by millions of people all over the world. They also do work for film, television, art installations, sample libraries, production houses, and just about anything else that might need some brass and woodwinds. DD Horns' unique sound has been forged through nearly 20 years of collaboration, and they use a combined 60 years of musical experience to deliver the highest quality and most appropriate sound for every client. Recording resources include a recording studio with custom designed tracking room by Ken Goerres; high end vintage and modern recording gear including Chandler, API, A Designs, Neumann, SAHE Audio, Beyerdynamic, RCA, Lynx, Universal Audio, Avalon, Electro Voice,and Shure; plus extensive outboard and in the box processing including vintage Roland Space Echoes and Fender Amps, as well as modern effects by Strymon, Metasonix, Line 6, Soundtoys, Ekdahl, Boss and more. While DD Horns are most often hired to multi-track themselves into various ensemble configurations, they also do contracting and arranging/orchestrating and can put together a live section of just about any size and instrumentation. Additionally, charts can be provided for any ensemble and instrumentation. This extends to live performances as well. Rates vary according to the specific needs of any given project, and whenever possible all size budgets are accommodated. Don't hesitate to reach out about getting some of DD Horns platinum sound on to your music today! This was from the session for the Iggy Pop record Post Pop Depression produced by Josh Homme of Queens of The Stone Age, and we brought in extra firepower from tubist P Blake Cooper and trumpeter Jordan Katz. Ultimately Post Pop Depression was nominated for a Grammy for best Rock album. This was from a day spent tracking horns for Paloma Faith's record The Architect with producer Jesse Shatkin. We ended up doing three different sessions for this record, two of which happened at Electrovox studios in Hollywood, which is one of the great historic rooms in Los Angeles (and also where Vampire Weekend tracked some of Modern Vampires in the City). This record went on to debut at #1 on the UK album charts. This was taken after a day of tracking horns for producer Mike Elizondo Jr. at Danny's studio in the San Fernando Valley. In it you can see one of the SAHE audio Havana microphones that we use for close micing, as well as David's Selmer Mark VI alto, tenor and baritone saxophones and Danny's Martin Committee and Bach Stradivarius trumpets and King 2166 valve trombone.